Save the Date! DC Craft Mafia is planning a holiday show for November 3, 2007. 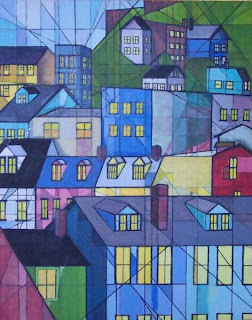 The show will include the work of all DCCM members as well as the work of several other vendors. 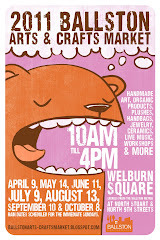 If you are interested in becoming a sponsor OR vendor please go to www.dccraftmafia.com and sign up for our newsletter. We will notify you when applications are up. This will be a great shopping opportunity for anyone living in or visiting the DC area! So, save the date & shop indie! Craft Mafia Shopping Page Now Up! Pretty flowers + pretty graphics = pretty hair. 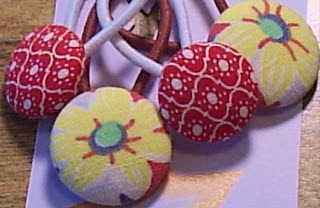 The smaller red set measures 3/4" (1.9 cm) and the larger yellow flower set are 7/8" (2.2 cm). I use metal-free "ouchless" hair ties to make your pony tails extra extra nice. 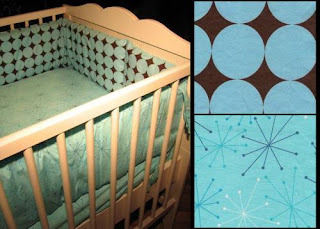 Modern and updated, this chocolate and blue circle pattern is paired Astro Bursts. 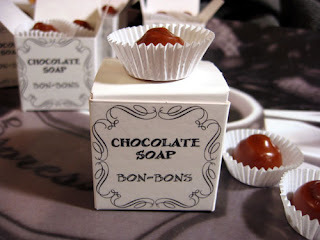 This naughty treat will make you wish there was a reason for someone to wash your mouth out with soap! These truffled darlings look and smell like real chocolate. Each of these six pieces contains cocoa powder and is made with high-quality Creamy Goat's Milk Soap. Divaliscious! The top wraps around the waist and fastens in back with hidden hooks. The top of the shirt is fastened around the neck with hidden hooks as well, and an attached scarf wraps around the neck. This top comes in black silk. Make a tote, bag, or purse of your choice. Class fee includes Trish's simple tote pattern, or choose from approved Amy Butler and Sew Betsy Ross patterns. Beginner Friendly Class. 2 brass horseshoes hand formed and hammered and buffed to a satin finish hang from a 16" goldfill delicate chain. 2 tiny labradorite beads accent the back of the necklace at the eye and lobster clasp. 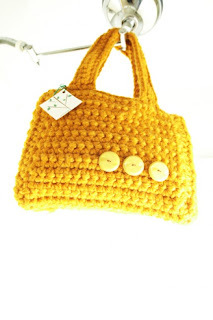 super chunky yarn makes this bag big and fun. buttery color and vintage button accents. 100% acrylic. Plastic buttons. Express someone a birthday greeting with this unique variation on birthday candles. 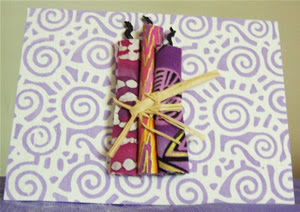 Eccletic paper is adorned by candles made with fabric and ribbon scraps. Inside left blank for your personal message. 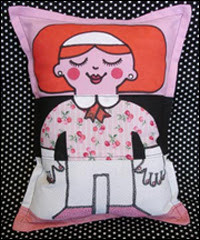 Drawn & sewn pillow dolls...nothing cuter! So there it is! 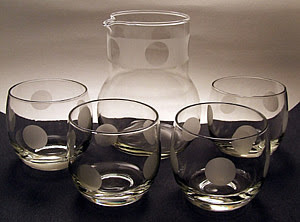 Don't forget to check the DC Craft Mafia member's pages as well. As lovers of independent style, we know how you hate to see your clothes on every other chick in the city. In support of that, we have compiled a list of lovely shops with a unique flare. Happy shopping!!! Annie Creamcheese, a vintage boutique formerly in Arlington, opened a new location in Georgetown this spring, providing vintage-starved fashionistas with one-of-akind, original pieces by such designers as Emilio Pucci, Gucci, Missoni, Lanvin, Yves Saint Laurent, Valentino, Christian Dior, Ferragamo, and Mollie Parnis. 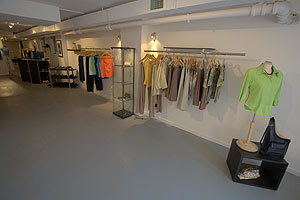 Located at 3279 M St., N.W., the boutique also features many pieces from up-and-coming designers, plus a men's vintage line. Couture fashion designer Nanette Lepore was recently spotted shopping in the store and spending $2,000 at the high-end but funky shop. Clothes are handpicked from a highly selective list of private owners from cities around the world. 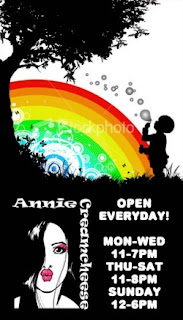 Annie Cream Cheese also provides alterations at no charge. 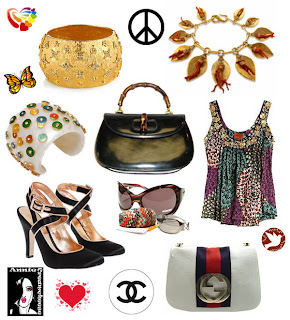 Women’s styles by Donna, Ravel, Johnny Cotton, Wendy Hil, BGN, LulyK, HarMoney and Kenpo Girl. Jeans by Red Engine and January Jeans. 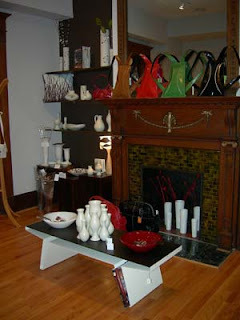 Handbags by Tiffany & Fred, Fino Leatherware, Borsetta Bags, and Silhouette's. 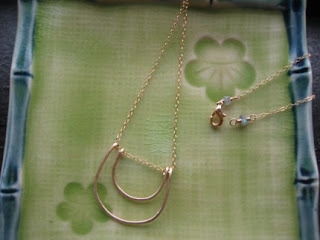 Jewelry by local designers, Mila Medina, Roz Jacobs, and Joanna Crain. Men’s apparel by Report Collection, Nick Danger, Alpana Bawa, Joseph’s Cloak, local designer Sasha Sozonov, Panda Snack, Jed, Johnny Cotton, and Roar. DC Craft Mafia is pleased as punch to annouce 2 new made women. Chandi Kelley is the designer/ artist behind Manatea Party. Chandi graduated from the Corcoran College of Art and Design in the fine art photography program. She has many talents! Chandi creates a variety of very creative & cute things! 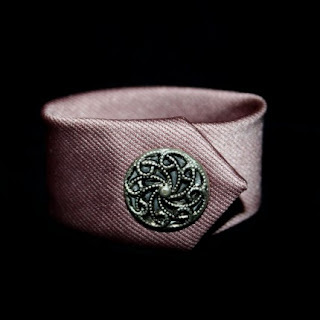 Check out her other tie bracelets & goodies at www.manateaparty.etsy.com. In addition to Chandi we would like to introduce Leah Huete of Curious Zoo. Leah has been a professional artist/crafter for the last 8 years! Leah makes really fun stuff. 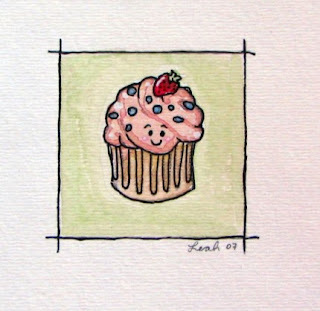 One of my favs is the the little cupcake paintings! Yum! You can see more of her work at www.CuriousZoo.etsy.com. Chandi & Leah are now mafiosa so don't mess with them!